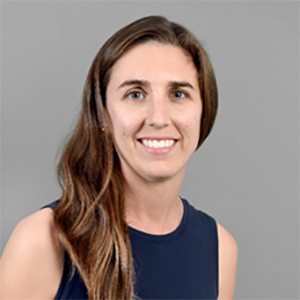 Deirdre Pfeiffer is an associate professor in the School of Geographical Sciences and Urban Planning at Arizona State University and a member of the American Institute of Certified Planners. She currently is on sabbatical leave in Los Angeles and is a visiting scholar in the University of California-Los Angeles Ziman Center for Real Estate, Center for Neighborhood Knowledge, and Department of Urban Planning. Pfeiffer is a housing planning scholar, with expertise on housing as a cause and effect of growing social inequality and the role of housing planning in meeting the needs of diverse social groups. Her most recent research appears in Journal of the American Planning Association, Journal of Planning Education and Research, Cityscape, Housing Studies, and Housing Policy Debate. She currently is exploring the interconnections between housing and health, the housing experiences of Millennials and seniors, and the effects of single-family rentals on neighborhoods. Pfeiffer also is deeply committed to community partnerships to help solve pressing housing issues in Arizona. Her recent collaborators include Vitalyst Health Foundation, the Arizona Partnership for Healthy Communities, the Arizona Housing Alliance’s Mobile Housing Working Group, and the Southwest Fair Housing Council. Dr. Pfeiffer holds a MA and PhD in Urban Planning from UCLA. Moos, M., D. Pfeiffer and T. Vinodrai eds. 2018. The Millennial City: Trends, Implications, and Prospects for Urban Planning and Policy. Routledge. ISBN: 978-1138631236. Pfeiffer, D. Diverging racial geographies in Phoenix's postwar and post-civil rights suburbs. In: Nijman, J. ed., North American Suburbanisms. University of Toronto Press. Toronto, Ontario, Canada. Pfeiffer, D., A. Tziganuk, S. Cloutier, J. Colbert and G. Strasser. Realizing innovative senior housing practices in the U.S.. In: Anacker, K. B., M. T. Nguyen and D. P. Varady eds., The Routledge Handbook of Housing Policy and Planning. Routledge. ISBN: 9781138188433. Moos, M., D. Pfeiffer and T. Vinodrai. 2018. The Millennial city, shaped by contradictions. Pp. 3-12 In: Moos, M., D. Pfeiffer and T. Vinodrai eds., The Millennial City: Trends, Implications, and Prospects for Urban Planning and Policy. Routledge. ISBN: 978-1138631236. Pfeiffer, D. 2018. Chapter 17. Housing and agiig. Pp. 294-315 In: Anacker, K. B., A. T. Carswell, S. D. Kirby and K. R. Tremblay eds., Introduction to Housing, Second Edition. University of Georgia Press. ISBN: 978-0820349688. Pfeiffer, D. and G. Pearthree. 2018. Is the real estate industry cementing Millennials’ residence in urban cores and central cities? Insights from Phoenix and Houston. Pp. Chapter 10 In: Moos, M., D. Pfeiffer and T. Vinodrai eds., The Millennial City: Trends, Implications, and Prospects for Urban Planning and Policy. Routledge. ISBN: 9781138631236. Vinodrai, T., M. Moos and D. Pfeiffer. 2018. (Millennial) cities of tomorrow. Pp. 287-294 In: Moos, M., D. Pfeiffer and T. Vinodrai eds., The Millennial City: Trends, Implications, and Prospects for Urban Planning and Policy. Routledge. ISBN: 978-1138631236. Cloutier, S. and D. Pfeiffer. 2017. Happiness: An alternative objective for sustainable community development. Pp. 85-96 In: Phillips, R. and C. Wong eds., Handbook of Community Well-Being Research. Springer Netherlands. ISBN: 978-94-024-0876-8.